There are lots of things to do every morning before the bell rings! This SMART file allows students to follow a morning routine. 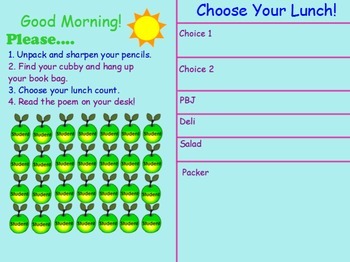 Every day you can update the student's morning work and lunch count.